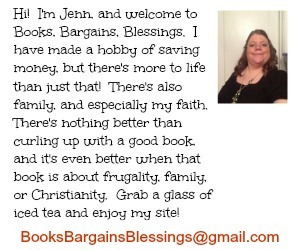 Books, Bargains, Blessings: Snopes. It's a good thing. Snopes. It's a good thing. I'm a bit of a geek, but for about 10 years now I've loved http://www.snopes.com/ . Let me repeat myself. For about 10 years now, I've loved http://www.snopes.com/ . If you get something in your e-mail that sounds too amazing, horrible, far fetched, or sick to be true, your first stop should be http://www.snopes.com/ Some of that stuff IS true. It seems to me the majority of things that I see are either odd factoids (note there is nothing about this October's calendar that is special. We'll have 5 Fridays, Saturday, and Sundays in 11 years, not 800!). I also see a lot of things passing as prayer requests that aren't true, policital items, and missing children. (There are enough TRUE prayer requests and missing children out there that should you want to forward something, just make sure it's true. I sometimes wonder what God thinks when there's tons of prayers for a situation that doesn't really exist because people didn't check out he facts before cut and pasting a status on Facebook. If there's a report of someone seeing a missing child when there's not really one missing, that ties up time at the police department.) There's enough bad situations in the world without people passing around false ones! Also, if you are a Christian, I've always been taught Christians should be honest, ethical, and truthful. Our actions shouldn't change just because we got an e-mail saying that there was a hole to hell drilled in Siberia. This is false. I understand wanting to convert others, but let's not do it with lies. Let's not allow our morals to slip in honesty just because we heard some amazing or horrible story on the Internet. Please check out Snopes before you pass on something that you didn't personally write. It's worth looking around on the site to see what kind of stuff people can create!